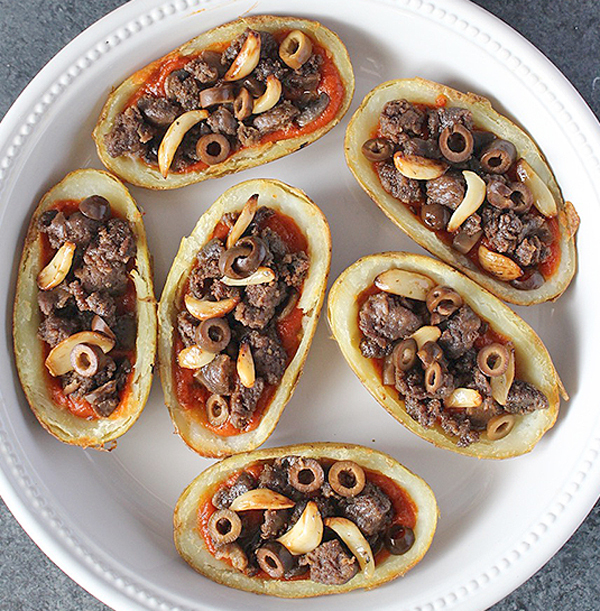 These Paleo Pizza Potato Skins have all the flavor of pizza, but packed into a scooped out potato! Perfect as an appetizer or a meal. 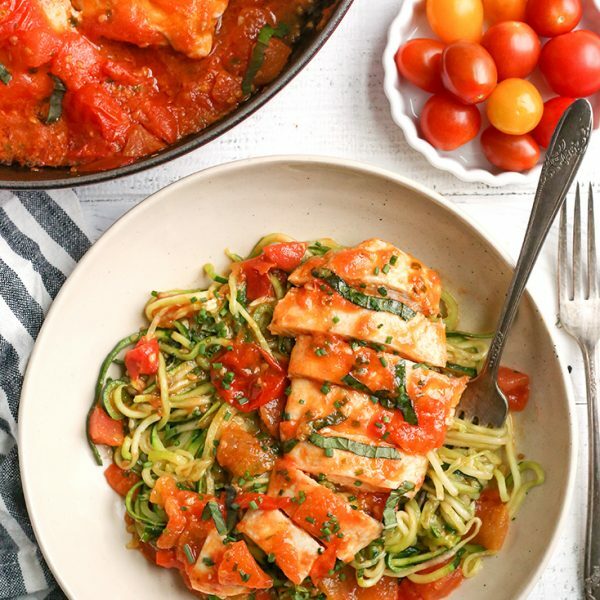 Whole30, gluten free, and so delicious! My husband helped me come up with this idea. 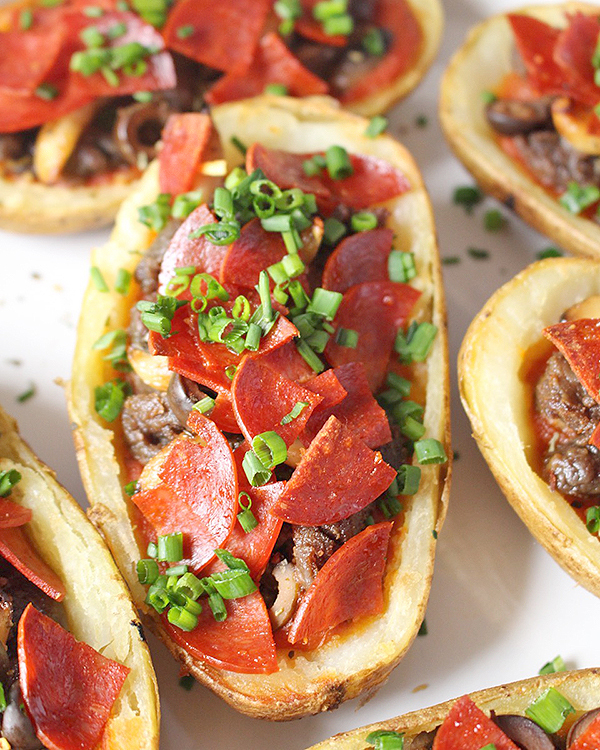 I’ve always loved potato skins, so why not make them better and stuff them with pizza toppings? I used US Wellness Meats Italian Sausage– it is loaded with flavor and has all clean ingredients. I made them a second time without the sausage (because I was out) and they just weren’t the same. Here are pictures of the steps. Pizza sauce, sausage and mushrooms, then garlic and olives. Then I sprinkled a little pizza seasoning on them, which is optional but adds that additional pizza flavor, then topped them with pepperoni. Yum! I packed these taters with all the good stuff! Italian sausage, roasted garlic, mushrooms, black olives, and topped with pepperoni that gets crispy. Each bite is so good! 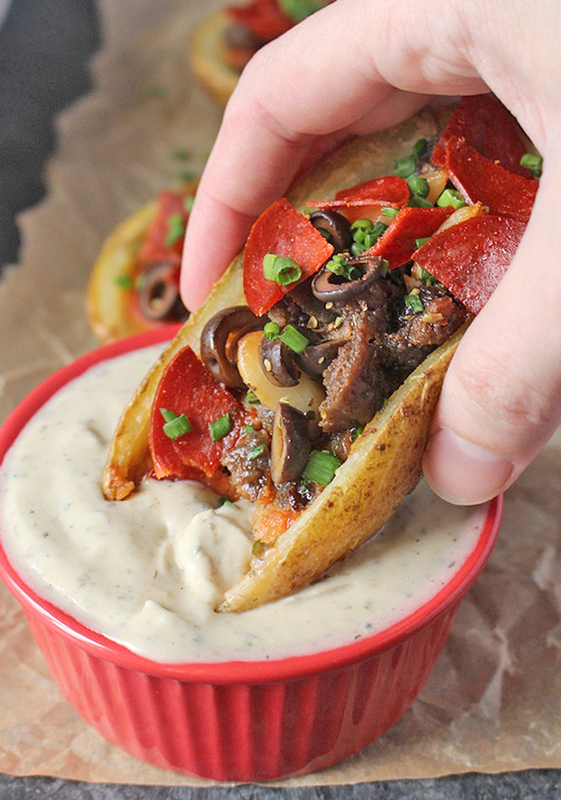 The great thing about these is that you can use your favorite pizza toppings. Maybe you love green peppers, or ham, or bacon- add it. One super helpful tip is to use a cookie scoop to scoop the potato out. I tried just using a big spoon and it was a mess and uneven. Using the scoop makes it easy, removes the insides evenly and makes it perfect for filling. They are delicious on their own, but of course good dipped in ranch as well. I was always a lover of pizza dipped in ranch and this is reminiscent of that. I have a great Whole30 Ranch or you can use Tessemae’s, which is what is pictured here. It’s also Whole30 and convenient when I don’t have time to make it from scratch. If you haven’t noticed- I love making pizza-inspired dishes. You guys love them, too! 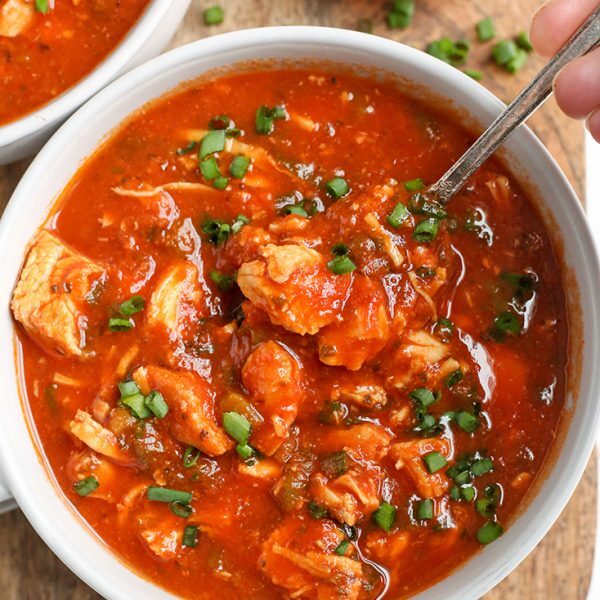 There’s my Pizza Soup, Pizza Chicken, and Pizza Quiche, that are all Paleo and Whole30. 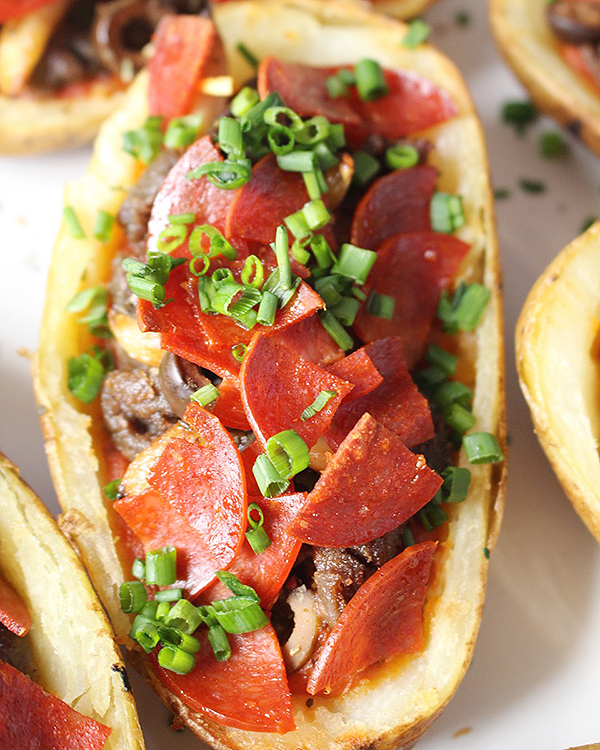 If you love pizza then you will absolutely love these potato skins! Preheat oven to 400° and line a sheet tray with parchment paper. 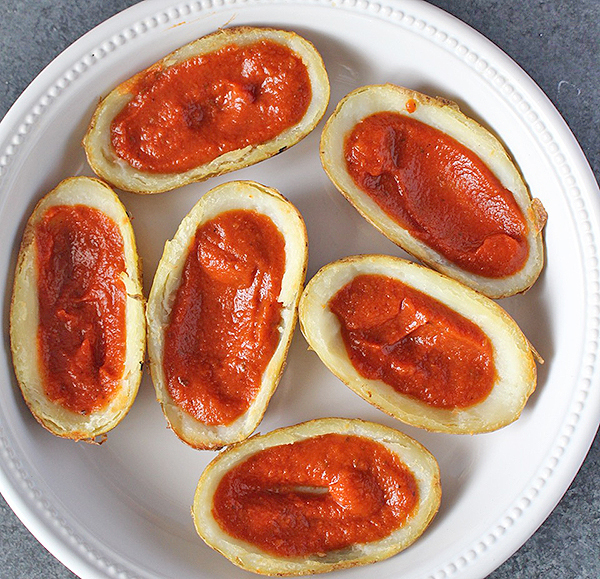 Wash and poke holes in the potatoes, brush with coconut oil and bake for about 40 minutes or until tender. Let cool for about 10 minutes, then cut the potatoes in half and scoop out most of the inside. A cookie scoop works best for this. It removes the filling without ruining the skin. Brush both sides with coconut oil again and bake face down on the sheet tray for 7 minutes. Turn over and bake 5 minutes. 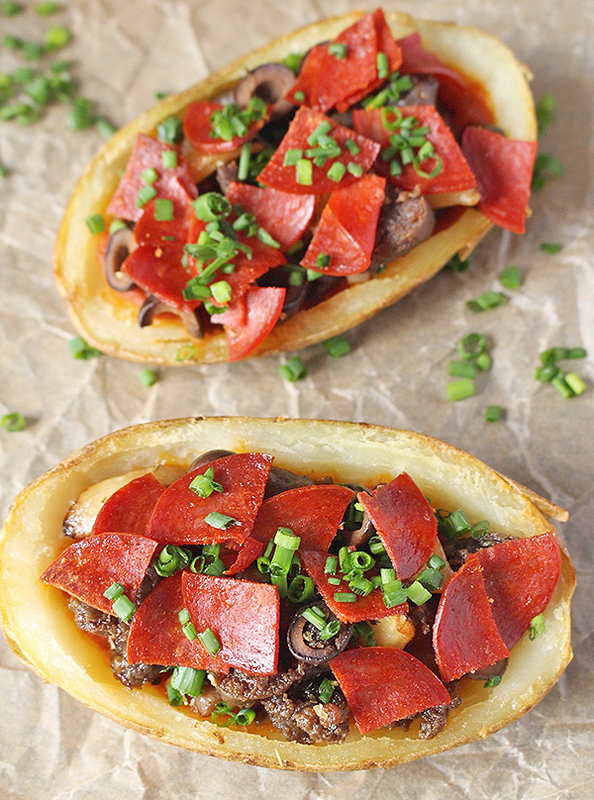 Fill with sauce, sausage, mushrooms, olives, garlic, and pepperoni. Sprinkle some pizza seasoning or oregano on before the pepperoni if desired. Bake for 10-12 minutes, or until pepperoni is crispy. Serve hot. My family made this tonight and it was delish! Thank you for sharing. I really needed something tasty and amazing on day 12 of the Whole30! You’re welcome! Thanks for trying it, Julie! I’m so glad it was enjoyed! I cannot find a compliant pepperoni! What brand do you use? Love your website! Thanks, Jessica. I use Applegate which isn’t technically Whole30. 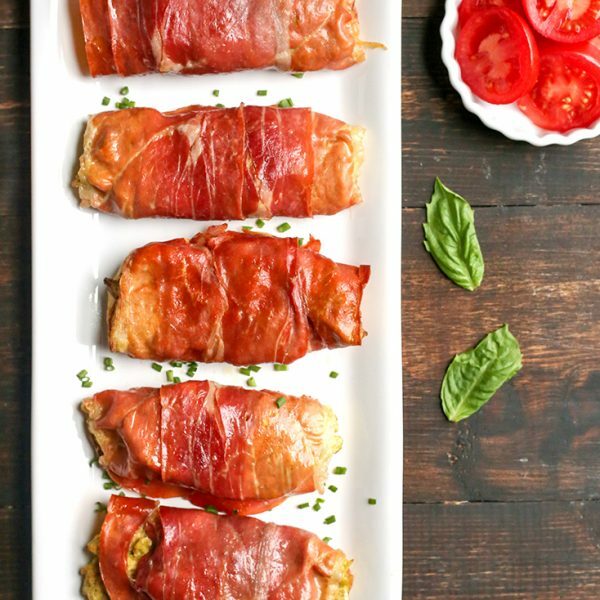 Leave off for Whole30 and replace with prosciutto. 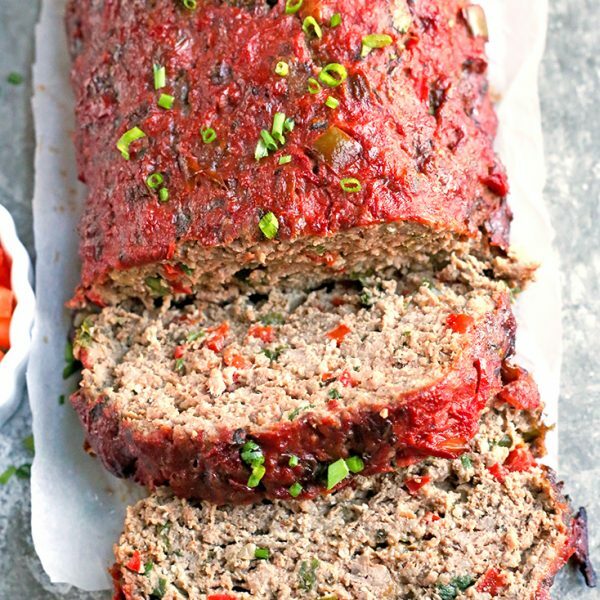 How do you recommend making these or prepping them ahead of time? Seems like there’s a lot of steps but they look delicious! Hi Gabrielle- You can bake the potatoes and scoop them ahead of time. Brown the meat and store it in the fridge. Cut and sauté and veggies you’re using and store them in the fridge. This will make them come together quickly the night of. Hope you enjoy!